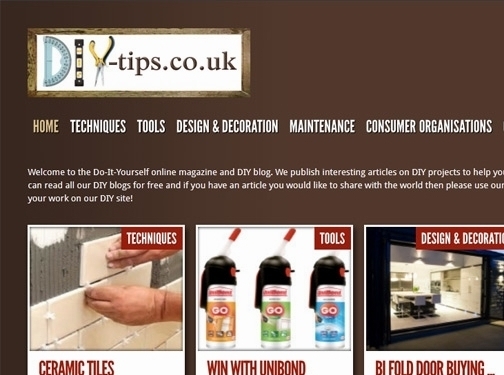 DIY Tips is a properly written and informativeonline magazine all about DIY. Articles cover the pretty stuff like how todesign a colour scheme right through to all the dirty jobs like cleaningdecking and mixing concrete. 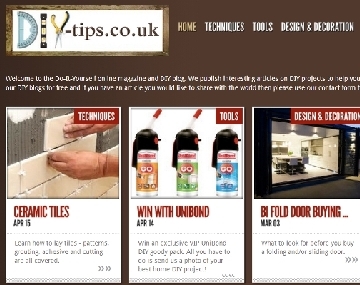 DIY Tips does not assume any knowledge or skill -it talks you through these jobs simply, with lots of links and videos included,to help you learn and perfect these skills. The articles identify the tools you need, what they look like and tellyou which ones you really need to have to make the job neater, easier andsafer. DIY Tips are also building up an archive of information on helpfulconsumer organisations and basic household electrics. The website is free to use with no sign up and it is not stuffed withlots of adverts or adverts badly disguised as articles! Detailed,original and informative content is what they are about. They also run a series of competitions where you can win some DIY essentialsand goodies so keep checking out our website and Facebook page. Website featuring as repository of DIY articles - welcoming contributions from anyone. Website includes articles, editorial review process explained, contact form.